Fantasy Springs is a casino resort in the Palm Springs area that’s owned and operated by the Cabazon Band of Mission Indians. Equipped with a large gambling area, a 250 room high-class hotel with views on the surrounding mountainside, and a number of facilities, including the famous Eagle Falls golf court, Fantasy Springs was built with intention to provide Vegas-style entertainment, amenities and gambling in Southern California, just like most Palm Springs resorts do. While its other amenities might draw crowds from time to time, the casino is what the resort is really all about. The floor at Fantasy Springs is a 100,000 square feet area that’s loaded with slot and poker machines and around 40 tables. The casino also has a dedicated Bingo hall and off-track betting room for those who want more than table fun. But what makes most people visit isn’t just the selection of games, but also the comp points and rewards club which offers plenty of perks for those who come back again. Fantasy Springs has one of the best multi-deck games around and they all have 3:2 payouts. The minimum at the 6 deck tables is set at $10, but there’s always one more 6 deck table with $5 bets which is nearly always crowded. For a $10 game, they have a good maximum bet, with up to $2000 per bet allowed at the table. At the six deck games, the dealer stands on Soft 17s and doubling on any two cards and doubling after splitting is allowed. There’s no surrender option but re-splitting aces is allowed, although just once. You can even convince the dealer to cut less than 2 decks, from time to time. There are also CSM 6 deck games to be found in the pit. Fantasy Springs had a great double deck pitch game several years ago but they have since changed their rules. All double deck tables come with $10/$25 minimums while the maximum bet is capped at $2,000, and all have the dealer hit on soft 17s. Here you can double on any two cards and double after splitting, but there’s no surrender option or re-splitting aces. The deck penetration used to be much better also, but now it depends mostly on the dealer. The casino tries to go for 50% penetration most of the time, but there have been exceptions from one dealer to the next . Fantasy Springs also offers Spanish 21 with fair betting limits. The 21 tables can be played for $5 to $500 per hand and follow standard rules, i.e. there are no 10 cards in the deck and the dealer hits on Soft 17, while doubling after splitting and surrendering is allowed. There are also different bonuses at the Spanish 21 table, just like in most nearby casinos. What’s good about the Fantasy Springs is that it’s larger than most reservation casinos, so you can stay under the radar more easily. However, there have been instances of people being detained in the back in the past, so you might want to keep a very close eye on the pit bosses. On the other hand, Fantasy Springs has one of the best comps and promotions in the area, with free rooms and other incentives regularly offered at small-stake play, so it makes it worthwhile to give it a shot. If you do want to try it, stick to the 6 deck games as that’s where the payouts and rules are best. 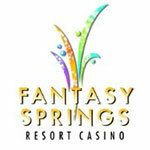 All in All, Fantasy Springs is a great casino resort with one of the best comps and gaming conditions in the area. Playing $25 a hand can get you free stay and if you’re a regular you can get repeated offers and incentives from the club. On the other hand, if you’re looking for double deck tables, you can find better offers at nearby casinos. The only playable game here is the 6 deck game, which, despite the rules, can get quite overwhelming to beginner counters, so keep this in mind before you plan a trip.